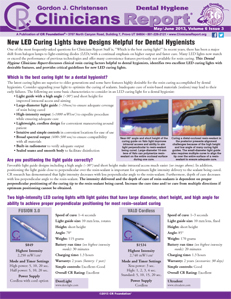 • Which is the best curing light for a dental hygienist? • Are you positioning the light guide correctly? • Are you keeping the light guide clean and free from debris on its tip?